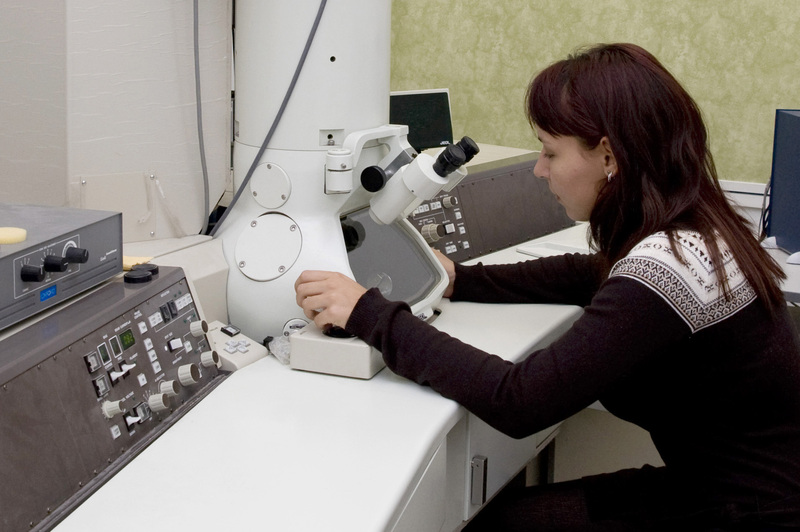 January of 2008 saw the establishment of this Chair at the MIPT Faculty of Molecular and Biological Physics. TISNCM was appointed the basic organization of the Chair. The Chair provides student education in Applied Mathematics and Physics as a part of a master’s degree in Chemical Physics. The main task of the Chair is to train the highly qualified specialists in the physical and technical aspects of nanotechnology in the Russian Federation. Training on probation. Workshops. Conferences. 1. In 2011-2012, three best second-year masters from the Physics and Chemistry of Nanostructures Chair (Alexander Kvashnin, Andrey Aseev, and Petr Stepanov) took up a scientific training in the USA, financially supported by TISNCM, MIPT and the host organizations. Petr Stepanov – Arizona State University, Department of Physics, Tempe. 2. Julia Philicheva, a second-year master, went on an Electronic Structure with the Elk Code training course in Lausanne, Switzerland, on July 18-23, 2011. 3. Julia Naumenko, a second-year master, presented a paper at the European Society for Biomaterials Conference in Dublin, on September 4-9, 2011. 4. Alexander Kvashnin, a second-year master, presented a paper at the 15th International Workshop on Computational Physics and Materials Science: Total Energy and Force Methods on January 13-21, 2011 in Trieste, Italy. 5. 2nd year Masters Alexander Kvashnin and Julia Filicheva participated in the Towards Reality in Nanoscale Materials V International Conference in Levi, Lapland, Finland, on February 20-22, 2012, with reports titled Ultrathin diamond nanofilms as a possible twodimensional insulator: electronic and elastic properties (Alexander Kvashnin), and Theoretical investigation of the diamond ﬁlms with implanted oxygen atoms (Julia Filicheva). 6. Bachelor Ivan Lemesh by means of a basic organization FSBI TISNCM, MIPT (SU) was sent to the U.S. for research training at the University of Chicago. 7. 1-year Bachelor Julia Buranova by means of a sending organization FSBI TISNCM, MIPT (SU) and a hosting US organization, was sent for research training to the University of Drexel, Philadelphia. 8. On September 10-21, 2012, 1st year master student Ivan Kruglov by means of the base institution FSBI TISNCM took part in the International conference “European High Pressure Research Meeting” in Thessaloniki, Greece. 9. On September 17-21, 2012, 1st year graduate student in training of MIPT Alexander Kvashnin by means of the base institution FSBI TISNCM took part at the international conference in Havana, Cuba. 10. On September 25 -27, 2012, 2nd year master student Anton Golovanov by means of the base institution FSBI TISNCM took part at the international congress in Darmstadt, Germany. 11. 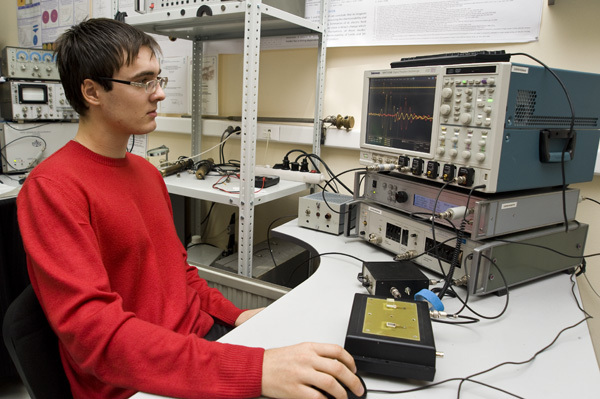 2nd year master student Arseny Telychko was awarded with Diploma of the Russian Acoustical Society for the best paper in “Acoustoelectronics” section of the 25th session of RAO. 12. On September 1-6, 2013, 2nd year master student Ivan Kruglov took part at the international conference “European High Pressure Research Group International Meeting” (EHPRG 51) with the presentation on the theme "Crystal structure of Sb2Te3_m metastable phase" in London, UK. On September 8 – 11, 2013 he participated with the presentation on the theme "Synthesis and determination of the crystal structure of Sb2Te3 metastable phase" in the 2013 Workshop of the IUCr Commission on High Pressure "Advances in Static and Dynamic High - Pressure Crystallography" at DESY in Hamburg, Germany. 13. During September 01 -December 01, 2013, 1st year graduate student in training of MIPT Alexander Kvashnin by means of the base institution FSBI TISNCM and inviting party was send to the scientific training to Professor B.I. Yakobson at Rice University, USA. 14. During June 23 – August 30, 2013, 2nd year master student Ivan Lemesh worked as a trainee in Batavia, Illinois, USA. 15. On July 22-28, 2013, 2nd year master student George Gordeev and graduate student in training Arseny Telychko attended lectures at the International Congress «Ultrasonic» in Prague, Czech Republic. Years V and VI (Master’s degree): 1472 hours. Master’s degree paper defence in the 12 semester. The main scientific and technical specialist training directions at the MIPT Physics and Chemistry of Nanostructures Chair ( download ).